What Is A Replica Designer Handbags Grading System? Shopping site visitors to the online replica dealer were presented with a Replica031.com FAQ (Frequently Asked Questions) page. Replica031.com claimed to sell "AAA*** grade mirror quality (99% exact copy) replica designer handbags." A savvy shopper would have been concerned about the grading system which was used and why. A reasonable buyer would have questioned what "99% exact" really means, that is, 99% of what exactly. The quality of replica and counterfeit goods is substandard and distasteful. No matter how you try to break it down with a grading system or any other means, a replica Chanel handbag, a knockoff Chanel watch, or a replica pair of sunglasses is still a fake product of low-quality made with inferior-grade materials and poor workmanship. The replica Chanel will never have the quality similar to the genuine. What Was The Replica031 Refund Policy>? There was a no refund policy. The replica shop decidedly would not refund any money for any reason. Although Replica031.com claimed that exchanges may be possible, the operating word here is "may." The sensible purchaser would have been keen to these policies, and would have known that proceeding with the shopping cart would be foolish. Furthermore, purchasing replica merchandise on sale apparently did not allow for any refund or exchange. The smart shopper would have removed everything from the shopping cart and immediately move on from the Replica031.com website. Click for additional information on the warranty and security policy of the site. 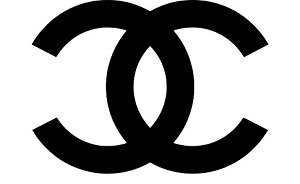 For more details on the repercussions of replica Chanel products, visit ChanelReplica.com and ReplicaChanel.com.